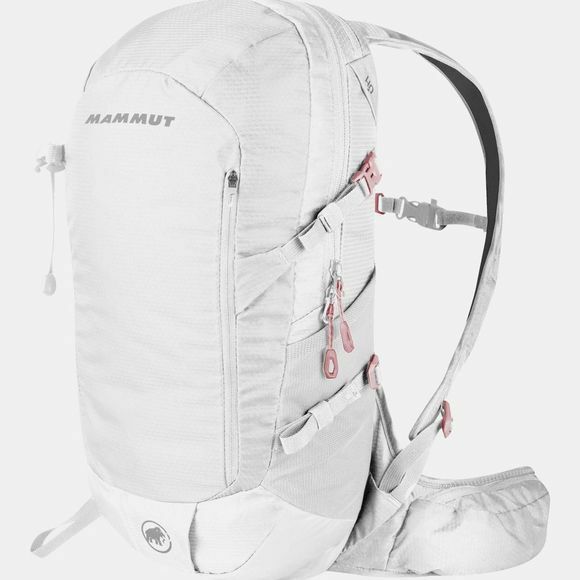 The Lithia Speed 15L Rucksack from Mammut is the women’s version of the Lithium Speed. Back length & shoulder straps are specially designed for the female figure. 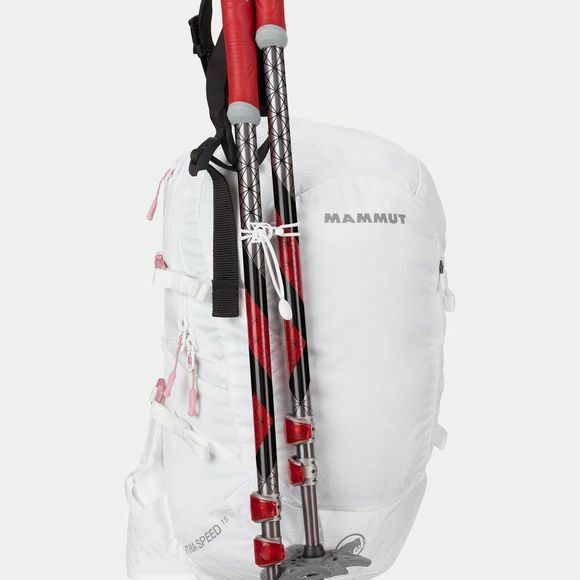 The smallest backpack of the Lithium family is a real multi-talent. Thanks to its panelloader design, very lightweight materials & numerous features, the Lithia Speed is a suitable companion for prettymuch everything from trail running & hiking to multi-pitch climbing.